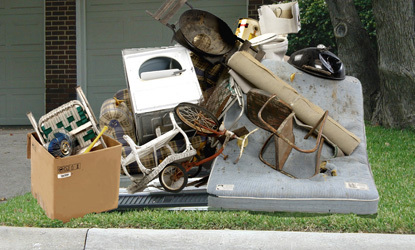 The Town of Walkersville will offer residents bulk trash pick-up on Saturday, June 13, 2015. Residents may place items for pick-up curbside after regular trash collection of Wednesday, June 10th, and before 4:30 a.m. on Saturday, June 13th. Many treasure hunters will make their rounds Friday night in hopes of finding that one person’s garbage may be their treasure.